Elstead Dental Surgery offers a referral service for Oral Surgery, prosthodontics, Sedation, Periodontal treatment and dental Implants. Our team here at Elstead Dental Surgery consists of skilled and professional yet friendly individuals who are always happy to help you to provide the best care for your patient. 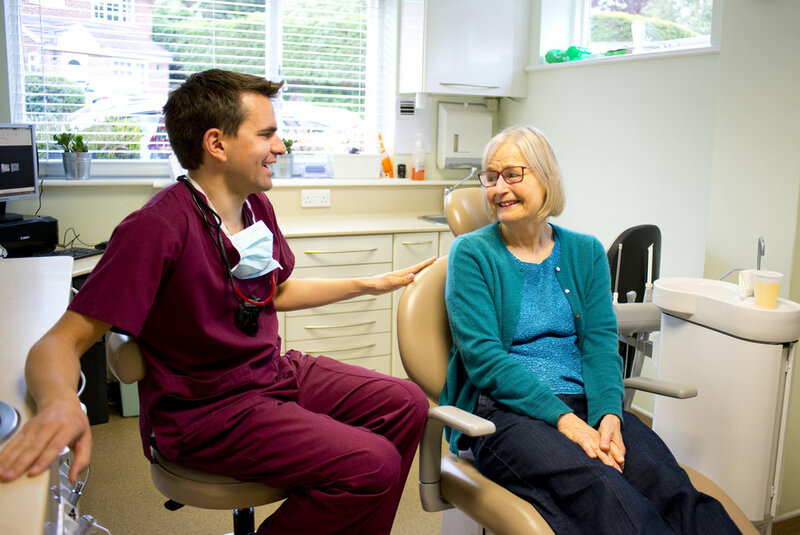 At Elstead Dental Surgery we offer a wide range of services for your patients including dental implants, oral surgery, periodontal and prosthodontic treatment, as well as treatment under conscious sedation. Our initial consultations are FREE and your patients will be given a detailed treatment plan including an estimate of cost. We will keep you fully informed of the process the treatment of your patient. You, as a referring dentist have an option to get as involved in the treatment of your patient as you wish, and we will always return your patient back to your care after the treatment has been completed. We plan all our cases using multidisciplinary approach benefiting variety of expertise in our team. 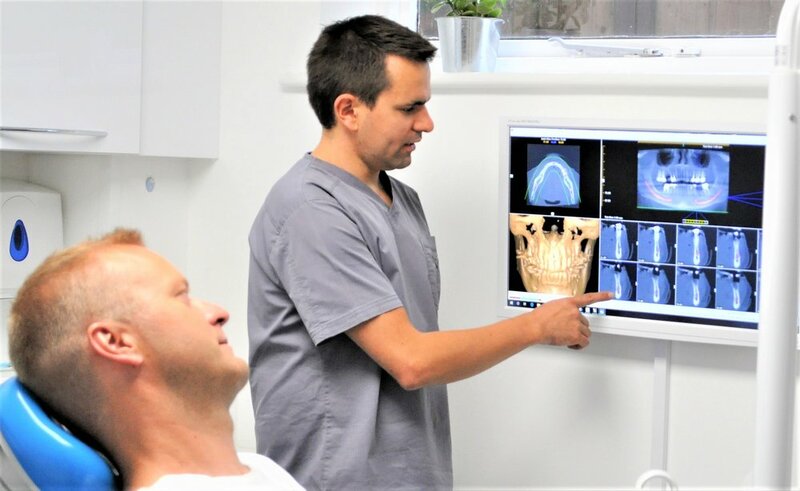 Our team is experienced in all aspects of dental implant treatment and we only use high quality, well tested implants here at Elstead Dental Surgery to provide a long lasting and a predictable outcome for your patients. All our implant cases also benefit from cutting edge PRF-technology which potentiates the healing and improves the success of the treatment. Dr Bhavin Pitamber is our periodontal and implant surgeon at Elstead Dental Surgery. He has a vast experience in placing implants using several different implant systems, in sinus augmentation and in connective tissue and bone grafting procedures. A significant proportion of his year s allocated to education internationally and he is actively involved in mentoring dentists regarding implant treatment and grafting procedures. Dr Nick Baker has a wide experience in various surgical procedures including removing impacted wisdom teeth, retained or fractured roots and simple teeth. 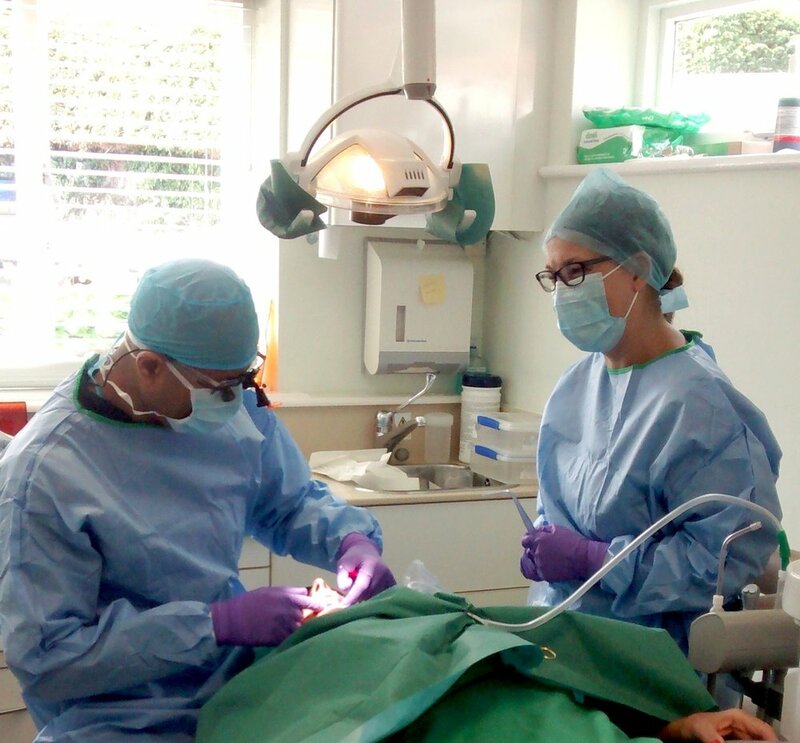 He has also completed a post-graduate training in implant dentistry and is involved in all aspects of implant treatment at Elstead Dental Surgery. The first assessment appointment for extractions is FREE and each patient will be assessed and appropriate treatment plan devised. We are also happy to accept urgent referrals for extractions. Dr Bhavin Pitamber is our expert in periodontology. His special interests lie in plastic periodontal and peri-implant surgery such as the treatment of gum recession, and in regenerative periodontal treatments. Growth factors and advanced biomaterials are routinely used to optimise the outcomes of such treatments. Periodontal regenerative procedures offered here at Elstead Dental Surgery include soft tissue grafts, bone grafts, root biomodifications, guided tissue regeneration, and combinations of these procedures. Dr Minna Miettinen, our principal dentist, is happy to help you with your more complex restorative and prosthodontic cases. She has a special nterest in management of extensive tooth wear as well as full mouth rehabilitation but she is also nterested in helping patients with TMD. We offer conscious sedation to help those very nervous patients or those who need complex, long treatments. It is available for patients over 14 years of age. Our practice offers IV sedation as this has proved to be the most useful and effective way of reducing dental anxiety in dental phobic patients. All our dentists are SAAD trained. The first appointment will be an assessment and no treatment will be done at this visit. The initial assessment is FREE.